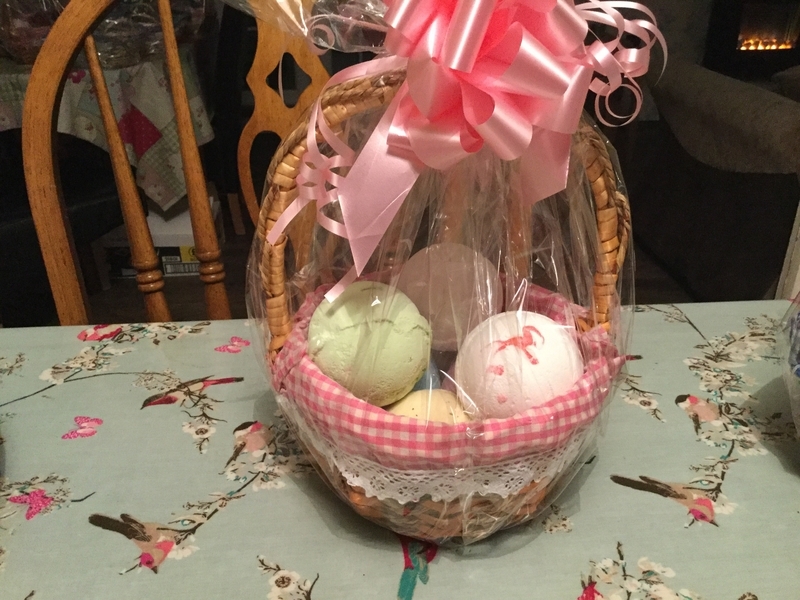 6 large bath bombs in a gift basket pink or blue mixed scent you can choose your favourites. Got a question? 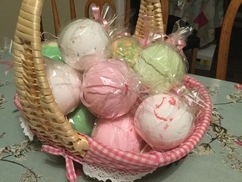 Message Thistlebanks luxury Hand Made soaps. Items will be dispatched same day . We have large bath bombs app weight 180g each Different scents Strawberry, coconut,kiwi, watermelon,very berry,tutti fruity,angel delight,banoffe pie, apple pie and custard. 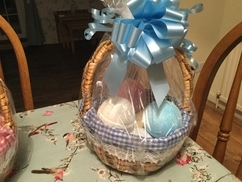 Choose your favourites..
Lovely gift basket with hand made luxury gifts ! 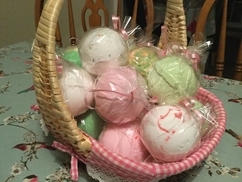 Coconut soap slice , coconut shower gel , grapefruit and orange face mask , peppermint foot scrub and bubblegum lip balm .